The Rose Institute stresses a high level of interaction between students and faculty. In their research on state and local government, students and faculty work side by side. Students receive guidance and instruction from professors, fellows and research associates experienced in the operations of both the public and private sectors. Dr. Joseph M. Bessette (B.S. Boston College, M.A. and Ph.D. University of Chicago) is an Alice Tweed Tuohy Professor of Government and Ethics at Claremont McKenna College. His areas of expertise include ethics and American democracy, the presidency, American politics, crime and criminal justice, and American constitutionalism. 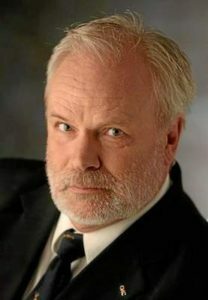 His publications include American Government and Politics: Deliberation, Democracy, and Citizenship (Cengage/Wadsworth 2013), second edition; The Constitutional Presidency (Johns Hopkins University Press 2009); and The Mild Voice of Reason: Deliberative Democracy and American National Government (University of Chicago 1994). Dr. Darren Filson (B.A. University of Saskatchewan, M.A. and Ph.D. University of Rochester) is the Academic Director of the Silicon Valley Program (2015-present) and the Director of Graduate Programs (2008-present) at Claremont McKenna College where he has been a member of the faculty since 2007. In addition to “Industrial Organization,” he has taught courses in the application of behavioral game theory, the economics of innovation, managerial economics, mathematical economics, sociological economics, and statistics, among many graduate-level courses in economics, game theory, and the application of these disciplines to life sciences. Among his published materials include “Evaluating Mergers in the Presence of Dynamic Competition Using Impacts on Rivals” with Saman Olfati and Fatos Radoniqi (Journal of Law and Economics 58:4 November 2015). In 2015 Dr. Filson received The Carol and Bruce Mallen Award for Lifetime Published Scholarly Contributions to Motion Picture Industry Economic Studies. Dr. Eric Helland (B.A. University of Missouri, M.A., and Ph.D. Washington University) is a William F. Podlich Professor of Economics at Claremont McKenna College. Dr. Helland’s research primarily focuses on law and economics, microeconomics, business law, contract economics, and health economics. His publications include “Product Liability and Moral Hazard: Evidence from General Aviation” (Journal of Law and Economics 2012), “How Much Should Judges be Paid? An Empirical Study on the Effect of Judicial Pay on the State Appellate Bench” (Stanford Law Review 2012), and “Bargaining in the Shadow of the Website: Disclosure’s Impact on Litigation Behavior” (American Law and Economics Review 2010). Dr. Manfred Keil (Zwischenprüfung, Goethe Universität, M.A. University of Texas, M.S. and Ph.D. London School of Economics) is an Associate Professor at the Robert Day School of Economics and Finance at Claremont McKenna College. Dr. Keil’s main areas of expertise include banking, comparative economic performance, macroeconomics, and statistics. His publications include “When Does Inflation Hurt Economic Growth? Different Nonlinearities for Different Economies” (Journal of Macroeconomics 2004), “Shrunken Earnings Predictions are Better Predictions” (Applied Financial Economics 2004), and “Uncovered Interest Rate Parity and Exchange Rate Regimes: Lessons from a Sample of East Asian Countries” (National University of Singapore 2008). Dr. Emily Pears (B.A. Claremont McKenna College; M.A. and Ph.D. University of Virginia) is an Assistant Professor of Government at Claremont McKenna College. Her research focus is in the areas of 19th century U.S. federalism, American political development, American nationalism, and U.S. state building. She previously worked as a policy advocate for voting rights and redistricting reform issues in San Francisco and Sacramento. 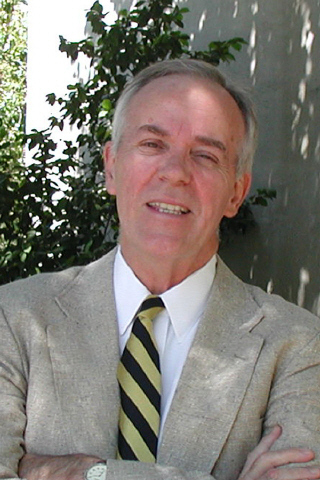 Dr. John Pitney (B.A. Union College; M.A., M. Phil, and Ph.D. Yale University) is the Roy P. Crocker Professor of Politics at Claremont McKenna College. Dr. Pitney’s research primarily focuses on American and Californian politics, Congress, electoral politics, media politics, public policy, political advertising, and the Obama Administration. His publications include Congress’ Permanent Minority? Republics in the US House (Rowman and Littlefield 1994), The Art of Political Warfare (University of Oklahoma Press 2000), and After Hope and Change: The 2012 Elections and American Politics (Rowman and Littlefield 2013). Among other honors, Dr. Pitney is a two-time recipient of the Glenn R. Huntoon Teaching Award and received the Presidential Award in 2013. 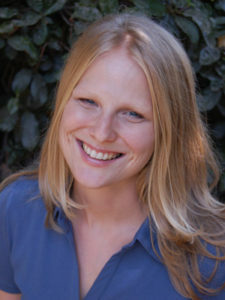 Dr. Shanna Rose (B.A., Swarthmore College; Ph.D., Harvard University) is an Associate Professor at Claremont McKenna College, teaching American politics, public policy, and research methods. Her research focuses on budget policy, health policy, and federalism. Among her published works are Financing Medicaid: Federalism and the Growth of America’s Health Care Safety Net (University of Michigan Press, 2013) and “The State of American Federalism 2014-2015: Pathways to Policy in an Era of Party Polarization” with Cynthia Bowling (Publius: The Journal of Federalism 45(3), 2015). Dr. Joshua Rosett (B.A. University of Chicago, M.A., and Ph.D. Princeton University) is a Curb Family Associate Professor of Business and Law at Claremont McKenna College. Dr. Rosett’s primary area of expertise is in accounting. His publications in the field include “Equity Risk and the Labor Stock: The Case of Union Contracts” (Journal of Accounting Research 2001), “What Determines the Variability of Accounting Accruals?” (Review of Quantitative Finance and Accounting 2005), “Macroeconomic Variables and the E/P Ratio: Is Inflation Really Positively Associated with the E/P Ratio?” (Review of Quantitative Finance and Accounting 2006). Dr. Ralph Rossum(B.A. Concordia College; M.A. and Ph.D. University of Chicago) has been a member of the Claremont McKenna College’s faculty since 1994. Dr. Rossum’s research primarily focuses on constitutional law, constitutional interpretation, the American founding, criminal justice and procedure, the Constitution, and Native American tribes. His publications include Understanding Clarence Thomas: The Jurisprudence of Constitutional Restoration (University Press of Kansas, 2014), American Constitutional Law. Volume I: The Structure of Government, Volume II: The Bill of Rights and Subsequent Amendments (Westview Press, 2014) ninth edition, and Antonin Scalia’s Jurisprudence Text and Tradition (University Press of Kansas, 2006). Dr. Cameron Shelton (B.S. and A.B. Stanford University, Ph.D. Stanford Graduate School of Business) is an Assistant Professor at the Robert Day School of Economics and Finance. Dr. Shelton’s research primarily focuses on political economy, public choice, and public finance. His publications include “The Size and Composition of Government Spending?” (Journal of Public Economics 2007), “Elections and Political Risk: New Evidence from Political Prediction Markets in Taiwan” (Journal of Public Economics 2011), and “The Vicious Cycle: Fundraising and Perceived Viability in the US Presidential Primaries” (Quarterly Journal of Political Science 2012). Prior to joining CMC, Dr. Andrew Sinclair was Clinical Professor of Public Service at Warner Graduate School of Public Service at NYU. He was also a Research Associate at the University of Southern California. His fields of specialization are in American Politics and Political Methodology. Among his published works is a co-authored book on California’s new “top-two” nonpartisan primary called Nonpartisan Primary Election Reform: Mitigating Mischief (Cambridge University Press 2015), and “Winning from the Center: Frank Bigelow and California’s Nonpartisan Primary” (California Journal of Politics & Policy, (7(1): 1-33 2015). Sinclair received his B.A. in Mathematics and Government from Claremont McKenna College and both his M.S. and Ph.D. in Social Science from the California Institute of Technology. Dr. Michael Uhlmann (B.A. Yale University, LL.B. University of Virginia Law School, Ph.D. Claremont Graduate School) has been teaching in the Department of Politics and Policy/SPE at Claremont Graduate University since 2002. His courses concentrate on the American Presidency, executive-congressional relations, and the federal judiciary, including the federal administrative process and national security decision-making. He is also an adjunct professor at Claremont McKenna College, teaching a wide variety of courses in the Department of Government. In addition to his regular coursework for the Departing of Politics and Policy, Dr. Uhlmann teaches in and serves as the Director of CGU’s new Tribal Administration Program. Rachel VanSickle-Ward (B.A. Pitzer College; M.A. and Ph.D. University of California, Berkeley) is an associate professor of Political Studies at Pitzer College in Claremont, California. Her research interests include public policy, public law, and gender and politics. She has published work on the politics of statutory language, gender and political ambition, and administrative law. Her first book, The Devil is in the Details: Understanding the Causes of Policy Specificity and Ambiguity (SUNY Press, 2014), explores the impact of political and institutional fragmentation on policy wording, focusing on the dynamics of social policy construction in the states. Her writing has appeared in Talking Points Memo and The Washington Post (The Monkey Cage) and U.S News and World Report. She was named the 2012 Pitzer College Scholar in Residence for her research on contraception politics and policy, and it currently working on a book on the subject. 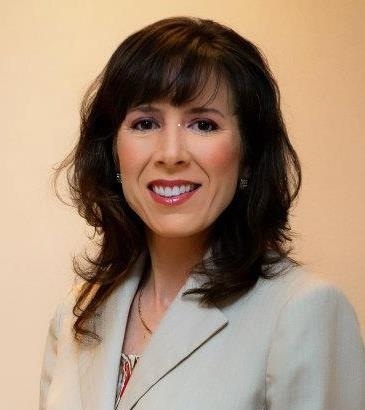 Dr. Jennifer E. Walsh (B.A. University of California, Riverside; M.A. and Ph.D. Claremont Graduate University) is dean of the College of Liberal Arts and Sciences and a professor of political science. An expert in crime policy, her academic publications include Three Strikes Laws (Greenwood Press, 2007), “To Do Justice and Love Mercy: Using Scripture to Guide Criminal Justice Policy” in Is the Good Book Good Enough? (Rowman & Littlefield, 2011), and “Three Strikes” in The Routledge History of Crime in America(Taylor & Francis/Routledge, forthcoming). Walsh has also published book chapters on affirmative action and the U.S. Supreme Court, the significance of John Locke on the American Founding, and religious freedom in the U.S. and China. She serves as a Fulbright Peer Review expert in political science and is frequently consulted by print and broadcast media on a range of issues related to local, state, and national politics.